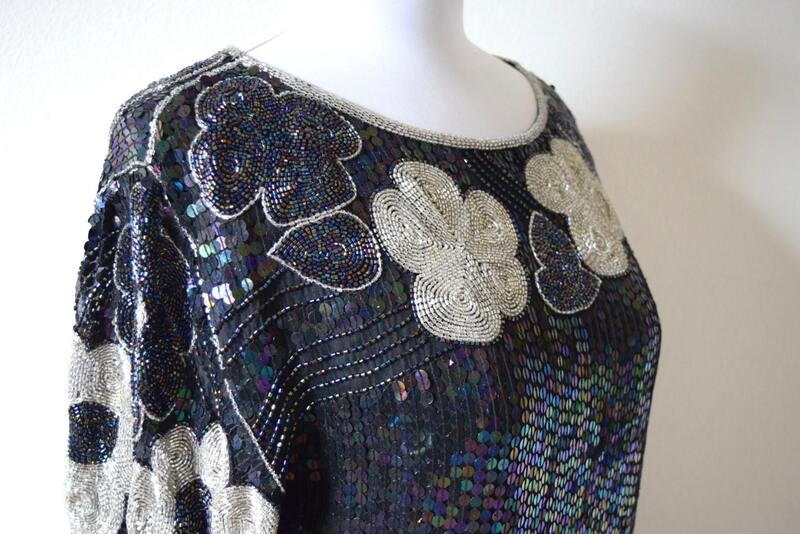 Stunning, heavily beaded and sequined iridescent black and silver art-deco inspired long-sleeved sheath dress with matching belt. Pullover style (no zipper). Scalloped hem-line and slits on either side.